Add a colonial style statement to your interior with the Bastille floor lamp from Eichholtz. Classical mythology has provided a stylish inspiration for the lamp with a column inspired base structure. 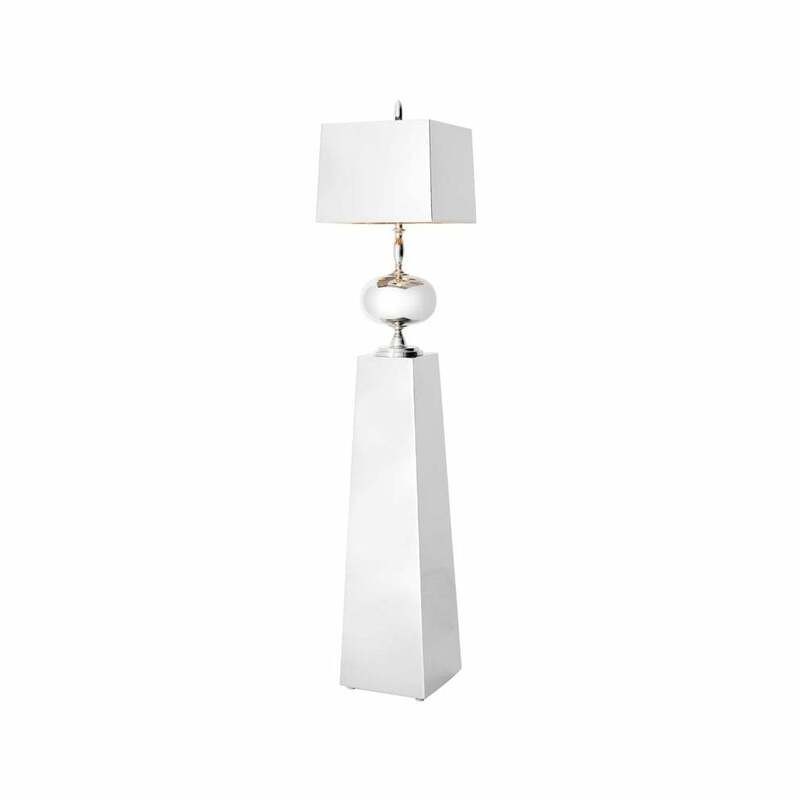 The tapered base extends upwards to a beautifully chic nickel lamp. The curved silhouette on the base of the lamp provides a rippling reflective surface to illuminate the room. A classic rectangular shade complements the unusual contemporary base. The exquisite combination of transcending styles will create a wonderful ambience in any interior. The shape of the base lends itself to an entry point or hallway for a dramatic entrance. Alternatively, the Bastille floor lamp could be styled in a living room with neutral colours for a cool and calming effect.